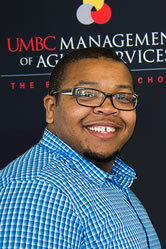 There is a lack of accessibility for older adult students as well as older faculty and staff on the UMBC campus. After speaking to many older adults and touring multiple successful Erickson Living communities, it has become abundantly clear that UMBC must make improvements to the campus in order to improve accessibility both inside and outside the classroom. 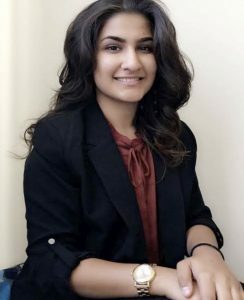 My name is Nida Yousfi, and I am currently a senior at UMBC studying Information Systems. I am an undergraduate research assistant for Galina Madjaroff. Her research focuses on how technology affects the elderly. Specifically, we are looking at older couples in which one partner has been recently diagnosed with cognitive impairment. Our focus is to see if the assisted technology product—Amazon Alexa—eases some of the burden of the care giver as well as aids the person with the cognitive impairment. As an IS major and someone who enjoys working with the elderly, I find this research truly intriguing, as it allows for me to gain insight on how simple functionalities in a product can make a difference in the lives of the people who use it. With a growing older adult population, it is beneficial they are connected with new and emerging technologies that improve their quality of life. A large part of this population is residing within retirement communities and as a society we could consider finding more accessible and intuitive technologies that promote engagement and quality of life. During this study, residents of Charles County Nursing & Rehabilitation Center (CCNRC) Family of Care will participate in a focus group providing their opinions on the design of a hardware that supports the IN2L’s touchscreen computer. The findings will be useful for future touchscreen computer hardware designs to better enhance the life of older adults.